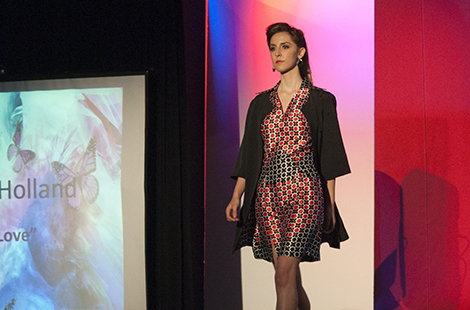 The work of 17 graduating fashion and merchandise majors was on display at CSUN for the 35th annual TRENDS Fashion Show on April 26. Titled “FANTASY, Once Upon a Dream,” the event was hosted by CBS 2 News Tonight’s news anchor Rick Garcia. Read more about the show. CSUN Provost Harry Hellenbrand received the prestigious Eileen Tosney Award from the American Association of University Administrators for his long-term service helping to shape the minds of college students. Read more about his career. Celebrated artist and CSUN alumna Judy Baca ’69 came back to her alma mater to speak about her historic work on the Great Wall of Los Angeles mural. Read more about the presentation. May 9 at 6:30 & 8:30 p.m.
May 10 at 11 a.m.
July 13 at 7:30 p.m. Celebrate summer with CSUN Alumni and friends at this star-studded benefit for the L.A. Phil honoring music legends Kristin Chenoweth, the Go-Go’s and others with presenter Carol Burnett. The seventh-annual Sign ’N Run event honored the 50th anniversary of the National Center on Deafness with a 5K walk/run and post-race celebration. CSUN opened its campus to thousands of high school seniors and community college transfer students interested in attending the university at the annual “Explore CSUN” event.